ST. GEORGE – Olympian Joe Jacobi toured St. George this week offering a series of inspirational talks to students, entrepreneurs, business leaders and city officials. Jacobi’s visit was part of the Champions Tour hosted by local business incubator Outlier Labs. 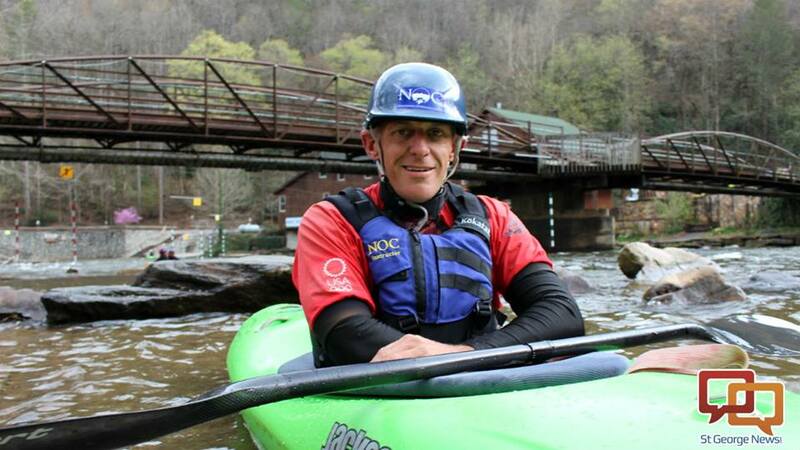 The 1992 Gold Medalist in team canoe slalom left his job as CEO of USA Canoe/Kayak a year ago and embarked on a tour to share his strategy for self-awareness and success. Jacobi has worked with groups and individuals who want to improve performance in business, relationships and personal health by applying the metaphor of his competitive experience. Jacobi’s framework for success includes building habits that encompass mind, body and spirit. By making small changes, taking small steps, larger goals are achieved. “The big leaps that we make in life are a function of the small steps we take every day,” he said. Jacobi’s visit to Southern Utah wasn’t all talk. He and local kayakers took to the water in two separate outings, one at Quail Creek Reservoir, or Quail Lake, and a final paddle at Sand Hollow Reservoir. “I travel to very few places in this country that have such incredible outdoor resources, such natural resources and the opportunity to put that into your own routine for staying healthy and adding that element of wellness to your life, it’s off the charts here in St. George,” he said. The union of internal and external health is the hub of Jacobi’s philosophy for living an authentic life. He said that Americans are bombarded with ads that promise a better life but external remedies don’t solve internal problems. Jacobi believes we have to work to achieve health for the whole being: physically, mentally, emotionally and spiritually to make the most of those systems.